An acclaimed performer and teacher, Johanna Cox Pennington has been oboe professor at Louisiana State University School of Music since 2011 and a member of the Breckenridge Music Festival Orchestra since 2002. A graduate of Northwestern and Eastman, Pennington was chosen for Eastman’s Freiburg Exchange Program that took her to Germany for advanced studies. She has performed with many orchestras including the St. Paul Chamber Orchestra and Chicago Symphony Orchestra. She travels to Europe, South America, Asia and throughout the United States performing as a recitalist, chamber musician, and clinician. 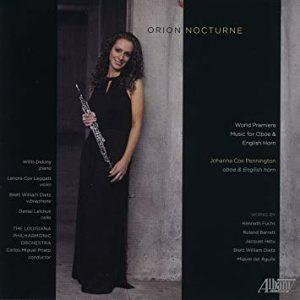 She has selected five world premieres for this recording, including Kenneth Fuchs’s Orion Nocturne and Brett William Dietz’s Voodoo Spells and Gris-gris. Michael Adcock loves the ragtime literature, and his love of this music can be keenly felt in these vibrant performances. This album doesn’t only include older ragtime pieces that one may or may not be familiar with, it also features contemporary ragtime works as well. 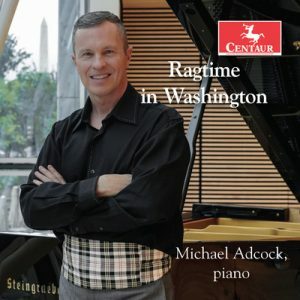 Hailed for his prodigious technique and praised by the Washington Post for an “unusually fresh and arresting approach to the piano,” pianist Michael Adcock has cultivated a versatile career as soloist, chamber musician and pre-concert lecturer. Recipient of the 1998 Lili Boulanger Memorial Award, Mr. Adcock was also a prizewinner in the 1996 Washington International Competition and the Kosciuszko Foundation Chopin Competitions in Chicago and New York. Mr. Adcock gave his Carnegie Weill Recital Hall debut in December of 1998. Mr. Adcock earned Master’s, Artist Diploma and Doctoral degrees from Peabody Conservatory, where he studied with Leon Fleisher and Ellen Mack, and was adjunct faculty in theory and chamber music. Mr. Adcock took his Bachelor’s degree from Oberlin College-Conservatory and attended secondary school at North Carolina School of the Arts. Violinist Julie Rosenfeld has invited five composers with whom she had worked over the past 30 years, to each write a work for violin and piano. 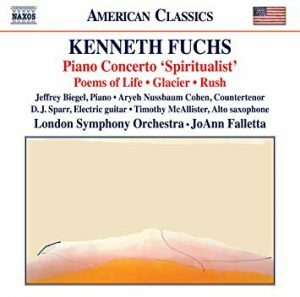 The composers include Kenneth Fuchs [Duo for Violin and Piano (Marks/Hal Leonard)], Katherine Hoover, John Halle, Laura Kaminsky, Tamar Muskal, and Stefan Freund. 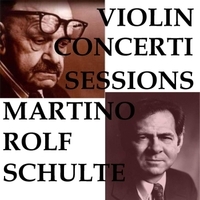 There is a wonderful diversity in the styles of the pieces and this recording will surely provide important additions to the contemporary violin repertoire. 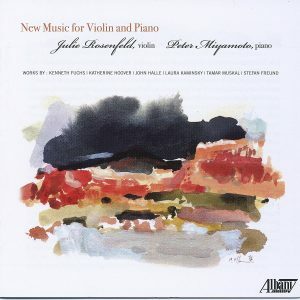 Julie Rosenfeld was first violinist of the acclaimed Colorado Quartet for many years before joining the faculty of the University of Missouri School of Music in 2014. Pianist Peter Miyamoto enjoys a brilliant international career, and studied at Curtis, Yale, Michigan State, and the Royal Academy. He is also on the faculty of the University of Missouri School of Music. 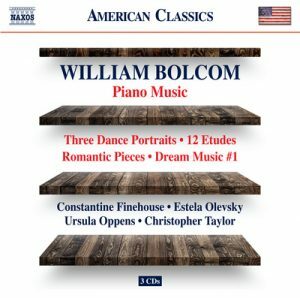 William Bolcom was awarded the 1988 Pulitzer Prize in Music for his 12 New Etudes for piano, and his music has always revolved around works for the instrument on which he still performs as a soloist and accompanist. 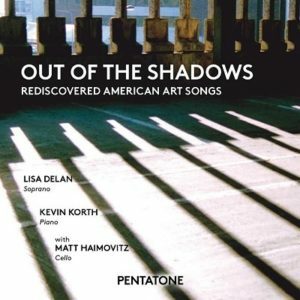 This collection of mostly premiere recordings reveals student pieces that negotiate twentieth century musical battles between the avant-garde influences of Boulez and Messiaen and Bolcom’s love of Schumann, as well as later work that embraces the 1960s ragtime revival and draws inspiration from friends and colleagues in every phase of his distinguished six-decade career. 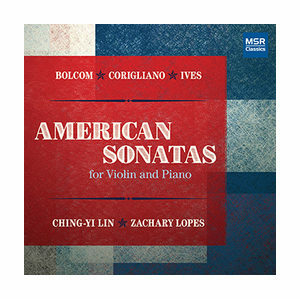 Elegantly performed by friends of the composer, this wide-ranging program is summed up by Bolcom as ‘cleaning house’ in the Charles Ives tradition. Features the World Premiere recording of There Will Be Stars. 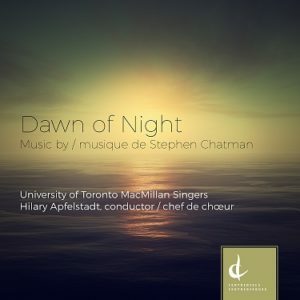 Stephen Chatman’s choral music is lyrical and expressive, an effective wedding of musical texts and well-crafted melodic and harmonic writing. In Dawn of Night, the music represents a range of characteristics, depending on the poetry. In this particular collection of music, much of the poetry is by female writers: Joanna Lilley, Christina Rossetti, Sarah Teasdale, and Tara Wohlberg; Walt Whitman and Canadian poet Archibald Lampman are also represented. Conductor Hilary Apfelstadt is Professor and Director of Choral Activities at the University of Toronto where she holds the Elmer Iseler Chair in Conducting. She is also artistic director of Exultate Chamber Singers in Toronto. The University of Toronto MacMillan Singers is an auditioned mixed choral ensemble at the Faculty of Music. They have premiered works by Canadian and American composers and sing a variety of repertoire spanning several centuries. Performer: Ching-Yi Lin, Vln., Zachary Lopes, Pno. 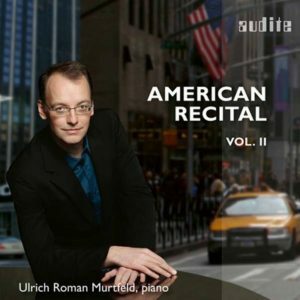 Following his first album of North American piano music of 2014, Ulrich Roman Murtfeld now presents a second album showcasing the boundless wealth of this repertoire. The pieces presented here span 150 years, ranging from sonatas by the British-born American composer Alexander Reinagle, written in 1790, to From My Diary by Roger Sessions, one of the most significant representatives of academic American modernism. 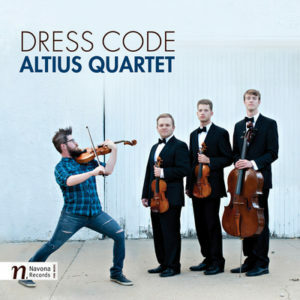 Navona Records proudly presents Dress Code, the debut release from Colorado-based string ensemble Altius Quartet. Comprised of violinists Joshua Ulrich and Andrew Giordano, violist Andrew Krimm, and cellist Zachary Reaves, the quartet’s core mission is to strive for universality in their music and communicate directly with their listeners. It’s this outlook that led to Dress Code’s eclectic blend of genres, with works from eighteenth-century classical repertoire to 1980’s pop being presented both on their own and combined in new arrangements. Includes Bolcom’s Three Rags for String Quartet. The piano music of Federico Mompou (1893-1987) holds a unique place in 20-th century piano literature. 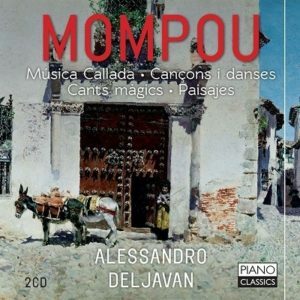 The apparent simplicity of Mompou’s music with its affinity to naïve “folk” elements – popular songs and dances, children’s games, spells and incantations – is deceptive: like Satie – the composer with whom he is most often compared – there is always a sense of a greater complexity hidden just below the surface. However Mompou himself was uninterested in analyzing his music, claiming, “ I don’t know where it comes from – that’s one of the secrets of art” and in describing his style as primitivista, he signalled a desire to return to first principles – a “recommencement” as he described it. Although he spent many years in Paris and was close to the galaxy of composers living in that city in the 1920s– becoming more or less and an honorary member of les Six – he remained virtually immune to outside influences. 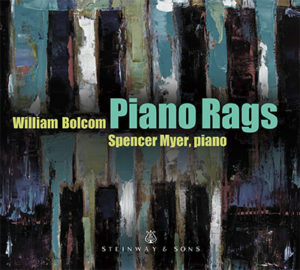 Spencer Myer programs a survey of William Bolcom’s piano rags. Though many have been recorded before, he incorporates three World Premiere recordings here. Knockout: A Rag (2008) signaled Bolcom’s return to the form as a gift to the Minneapolis conductor, Philip Brunelle, in appreciation for his longtime advocacy. Estela: Rag Latino (2010) came about through a commission by pianist Robert Satterlee for a project in honor of the late William Albright. The Brooklyn Dodge (1972), though not a new composition, somehow “dodged” being included in Bolcom’s ragtime oeuvre, perhaps because the composer felt it was too closely “in the style of” James P. Johnson, rather than laying claim to the personal originality prevalent in his other rags of the period. Thankfully, he now allows the listeners to be the judge of that. These songs honor the universality of the human experience—love, loss, faith, joy, sadness, nostalgia—in uniquely American settings. The spirit, pragmatism and romanticism of a country born in revolution and maturing in reason and hopefulness is evident in these works. It’s all here, in 31 songs by ten composers. The tonal palette of each of these composers reveals a singular style, in hues rich, varied and distinctively American. 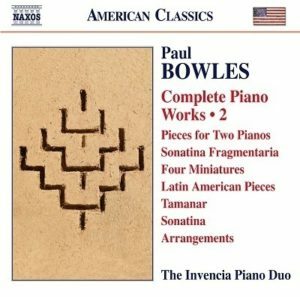 Bowles had been an inveterate traveller even before 1947 as the Four Piano Pieces demonstrate. The first, the rather neo-classical Impasse de Tombouchtou also refers to a dingy street in Thiviers in Southern France. Café sin Nombre and Carretera de Estapona refers to Southern Spain. Estapona, now a glamorous seaside town can almost be seen from Tangiers, and is, I recall, a pleasant boat trip away. Surrounded by a dry and desert landscape it was much more basic and village-like in Bowles’ day. The opening, with its massive chords, reminds us that it is surrounded by those startlingly blue, imposing mountains. In between these pieces is an elegant and tonally ambiguous Theseus and Maldoror inspired by Greek legend. 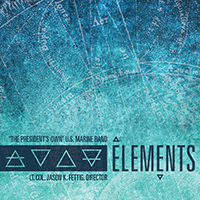 The U.S. Marine Band’s 31st annual educational recording pays homage to the ancient scholars and the idea of the four classical elements: fire, water, earth, and air. Plato and his student Aristotle introduced the hypothesis that all things in the physical world could be connected to one of these foundations. Music is often the representation and inspiration of the world both around and within us and in the recording, aptly titled “Elements,” Director Lt. Col. Jason K. Fettig explores the classical elements in classical music, from fire in Igor Stravinsky’s Fireworks to water in Leonard Bernstein’s Symphonic Suite from On the Waterfront, and earth with Darius Milhaud’s depiction of the genesis of the planet itself in La Création du monde. These elements are connected by the very wind that fuels the powerful hymns in Warren Benson’s The Passing Bell. The CD also includes Jennifer Higdon’s Percussion Concerto. Of special note is that this is the first ever published recording of The Passing Bell, though the work has been ensconced as a wind band classic for many decades since its creation in 1974. The first piece, “Canciones de Lorca,” is a song-cycle based on the language of Spain’s revered poet, Federico García Lorca, and the Flamenco influence that is latent in each poem. Described by Variety as “fascinating” and “free spirited,” the work was composed in collaboration with tenor Plácido Domingo for the 2006 inauguration of the Symphony’s primary residence, the Renée and Henry Segerstrom Concert Hall. Pacific Symphony premiered the piece and performed it again in 2013 with award-winning tenor René Barbera for this recording. 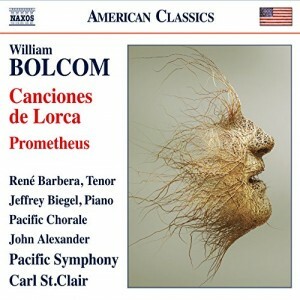 The second work, “Prometheus,” received its premiere in 2010, and features acclaimed pianist Jeffrey Biegel and Pacific Chorale. Setting the score to Lord Byron’s poem of the same name, Bolcom uses the legend of Prometheus as a metaphor for today’s turbulent times and society’s reliance on technology. The composer dedicates the work to hope and a peace derived from greater universal understanding. The recording is available for purchase as an Audio CD and MP3 album on Amazon and for MP3 download on iTunes. Read the entire Pacific Symphony press release. 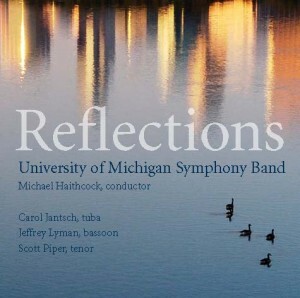 “Reflections” by the University of Michigan Symphony Band (Michael Haithcock, conductor) features Grammy™ Award-winning composer Michael Daugherty’s Concerto for Tuba (Carol Jantsch, soloist) and Pulitzer Prize-winner William Bolcom’s Circus Overture. 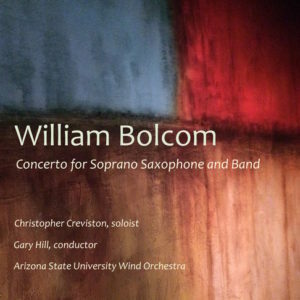 Works by Roshanne Etezady, Kristin Kuster, and James Stephenson (with bassoon soloist Jeff Lyman and vocalist Scott Piper) offer additional sonic reflections on non-musical inspirations. 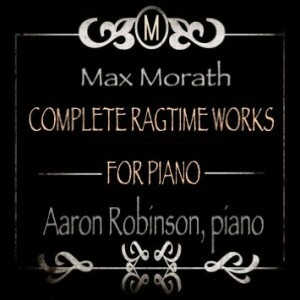 Born in 1926, Max Morath learned ragtime through his mother and went on to a monumental performing career in music and theater which not only championed the ragtime era well before it was in vogue to do so, but also contributed a wealth of original piano rags, all heard on this spotless recording as performed by the talented pianist, Aaron Robinson. Bolcom & Morris present the World Premiere recording of Bolcom and Arnold Weinstein’s charming “Minicabs” (Music published by Hal Leonard) on the CD of wider Bolcom & Morris fare. 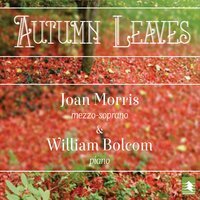 Includes the classic “Autumn Leaves” with a verse translated into English by Bolcom.